A high absolute eosinophil count indicates that there is an elevated number of eosinophils — a type of white blood cell — in tissue or in the blood. Because white blood cells like eosinophils fight infection and cause inflammation, a high absolute eosinophil count may indicate a viral or bacterial infection, parasites, allergies, or asthma. There are some other reasons for a high absolute eosinophil count, so you should consult with a medical professional regarding the possible causes. Bone marrow produces five types of white blood cells, all of which are vital components of the immune system. The bone marrow produces more white blood cells when the immune system senses an invasion from a harmful allergen, parasite, virus, or bacteria. Each type of white blood cell attacks a different infection or allergen. Elevated levels of any of these cells indicates that the body has mounted an attack on an invading infection. Eosinophils perform two important functions in the immune system. Eosinophils destroy foreign substances that the immune system has identified as dangerous to the body. They also promote inflammation that isolates and controls a disease or infection site. What Causes High Absolute Eosinophils? A high absolute eosinophil count, or eosinophila, results when the bone marrow produces too many eosinophils, or when a large number of eosinophils have aggregated to a specific infected area in the body. A high absolute eosinophil count can be used to confirm the diagnosis of an infection, certain disorders, or a disease. If you have symptoms of any of the conditions listed above, a physician may order an absolute eosinophil test to confirm the diagnosis. 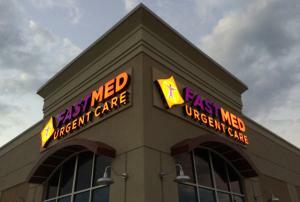 For the fastest diagnosis without having to make an appointment, visit your local FastMed Urgent Care clinic. Our state-of-the-art facilities include on-site labs where your blood sample can be evaluated for eosinophil levels, as well as for any other blood disorders. “The professionals at the urgent care center are courteous, as well as speedy. The facility is very clean and inviting. I have been to the medical center a few times, and have sent friends there. No one’s ever been disappointed.” – Mary H.T.